Beautiful leaves, fruitful harvests, and cooler weather are all things we think of when we picture fall. It is a transitional time from the sweltering summer months to the frigid winter months. For many creatures, fall is also a transitional time when they prep for hibernation. Bears snoozing in a den is what many of us probably imagine when we think hibernation, but a lot of different types of animals hibernate and experience similar processes. Hibernation is a state of inactivity and metabolic slowdown in endotherms i.e. warm-blooded organisms. It is characterized by low body temperature, slow breathing and heart rate, and low metabolic rate. Many ectotherms (i.e. cold-blooded organisms) seem to hibernate via a similar process called brumation. Remember that the main thing that differentiates warm-blooded and cold-blooded creatures is that warm-blooded organisms can self-regulate their temperature and metabolic responses. Whereas cold-blooded organisms’ metabolism reacts in response to their environment. So cold environment = slower metabolisms for all ectotherms versus cold-environment = hibernation for some endotherms but not all. Fish seem to hibernate but are an example of an ectotherm slowing down in response to the cold. 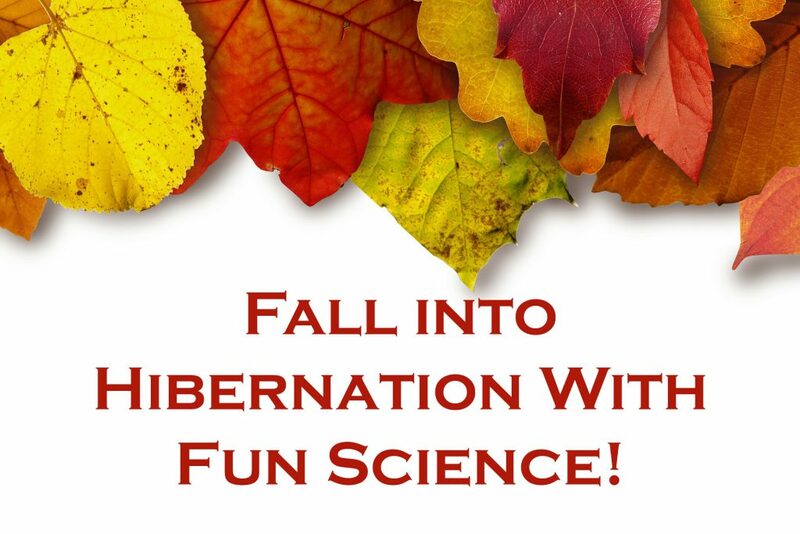 Hibernation is a considered a period of energy-saving torpor. Torpor is a state of decreased physiological activity in an animal and includes a lower body temperature and metabolic rate. Some animals experience what is called daily torpor, which refers to a period of low body temperature and metabolism lasting less than 24 hours. For instance, hummingbirds experience a state of torpor just at night and have been known to hang upside down from their perch while in this state. 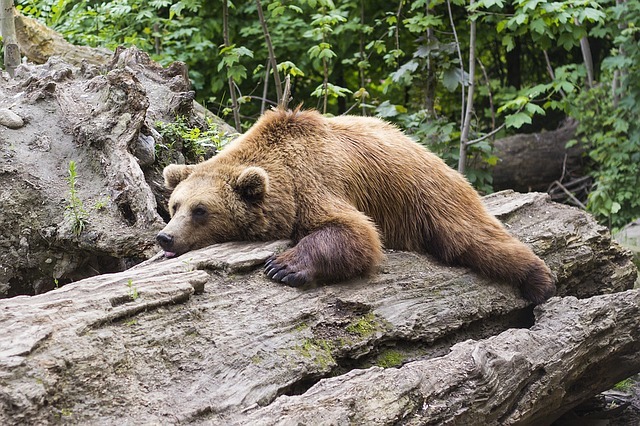 Hibernation in general occurs in winter and the opposite of hibernation is called aestivation, which occurs in the summer months. Many invertebrates and amphibians have an aestivation cycle that helps them survive hot, arid seasons. Whether it is hibernation or aestivation it is all about surviving extremes. It is a way for animals to survive difficult conditions. For instance, winter for a bear or squirrel means cold temperatures, not a lot of food, very little camouflage cover. Despite being in a vulnerable torpor state, being out in those conditions seem way riskier. The risk of vulnerability must have been outweighed by the benefits of hibernation for bears and other creatures to evolve this unique mechanism. Bears, for instance, have a period prior to hibernation where they eat and drink in excess to build up their fat stores for hibernation. Gorging themselves on nuts, berries and other food sources while they are around help them survive once they go into torpor and hibernate for several months. They also have a transition period where they aren’t hibernating but their metabolism is beginning to slow so they start to eat less and sleep more. The creation of a cozy den or nest is also essential for hibernation. This keeps body heat contained, protects from the elements, and conceals the hibernating animals. You might feel sleepier in the winter months, but humans never evolved to hibernate. Part of that reasoning is that since we evolved in equatorial, tropical Africa where there is a consistent food supply we would not have needed to hibernate to escape harsh conditions. We also would have been a top predator, so less likely to need hibernation to avoid predators. We are also bigger and most hibernators are small with the obvious exceptions here and there (bears). Our hearts are also different from other mammals that hibernate. Our hearts contract in response to calcium. So, if our heart gets too cold, there is a buildup of calcium and we go into cardiac arrest. Mammals that hibernate have a special pump that gets rid of excess calcium, which means their hearts continue to beat at much lower temperatures. Scientists are interested in engineering ways for humans to hibernate because it would aid in long-term space travel. Astronauts must exercise 6 hours a day in space to prevent muscle and bone atrophy, which might be avoided if they could hibernate. Hibernation obviously would reduce the amount of supplies they would need, and could protect from radiation. A year in space right now is the max an astronaut can do without significantly increasing the odds that they’ll get cancer and other side effects due to radiation.